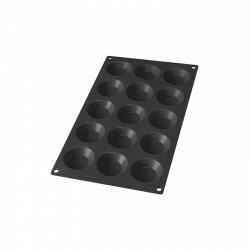 From the oven to the table! 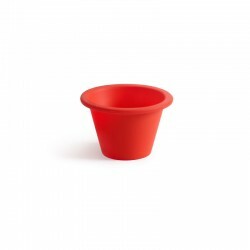 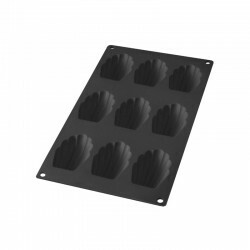 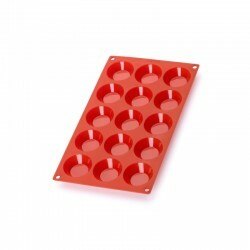 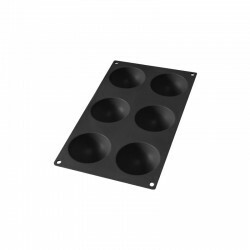 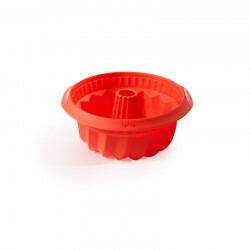 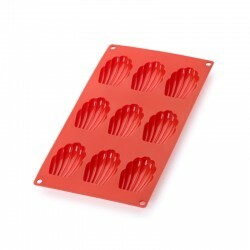 Springform silicone and ceramic mould for baking and serving from Lékué. Prepare hot or cold, sweet or savoury cakes, without spilling and without being afraid of ruining it when you remove it from the mould. 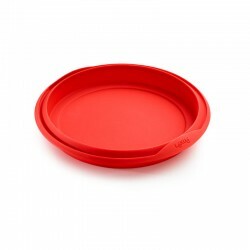 Diameter of 15 cm. 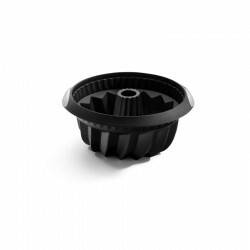 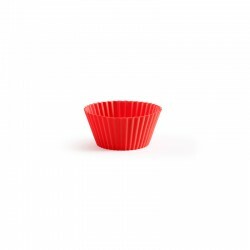 Round springform mould for your most delicate cakes. 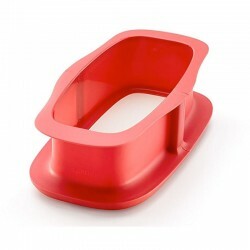 The mould consists of a ceramic base and a 100% platinum silicone belt that guarantees a perfect seal, preventing bothersome dripping. 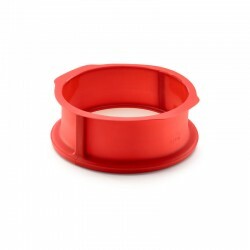 The ceramic base is scratch resistant so you can cut on it and its pretty design will look perfect on your table. 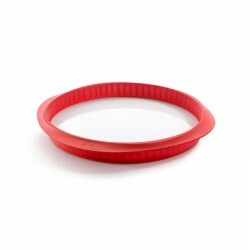 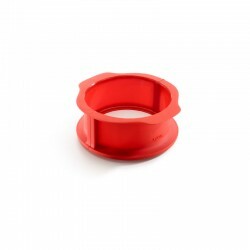 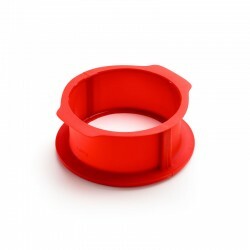 The silicone ring is non-stick and very flexible, while also very resistant, which makes removing the mould easy, even for the most delicate desserts. 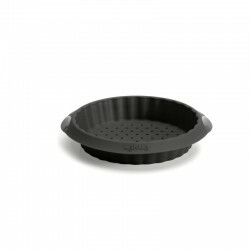 It has an airtight closure system that prevents batter from spilling out, even while it is still liquid. 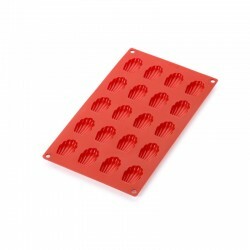 The entire mould is suitable for use in the oven, microwave and freezer and, when you are done, just pop it into the dishwasher.